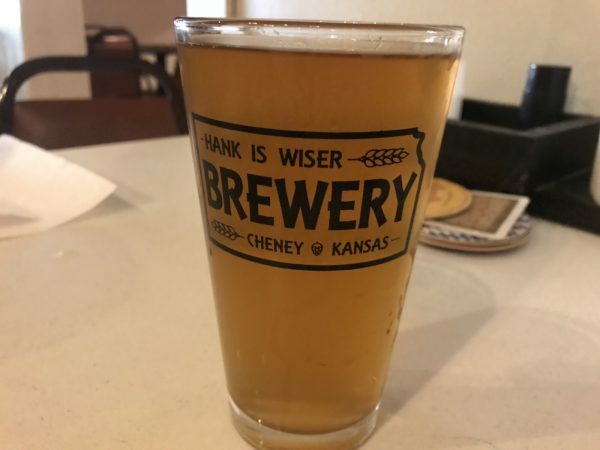 Hank Is Wiser Brewery: Great Beer, Great Food, Even Better People – Wichita By E.B. 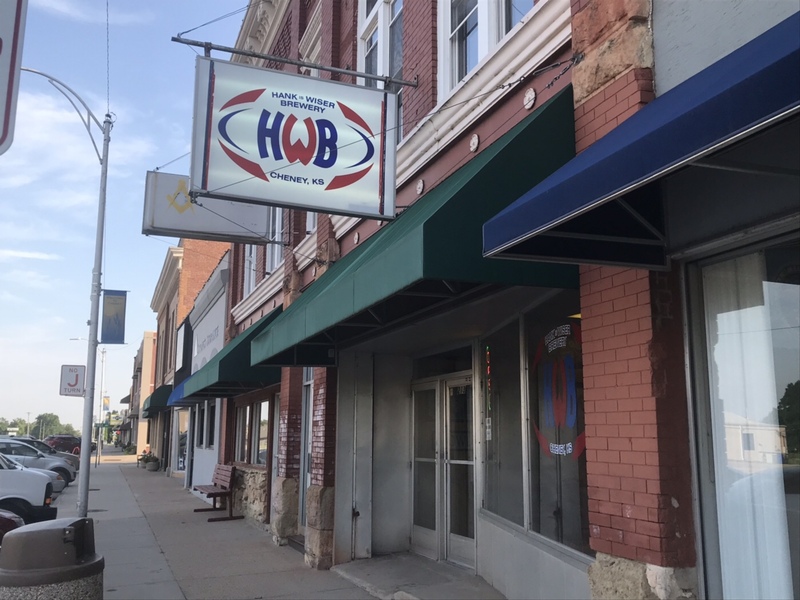 Before 2005, the local brewery scene was nearly non-existent but one family decided to open up Hank Is Wiser Brewery in Cheney, KS. It was a drive my friends and I would make almost yearly. 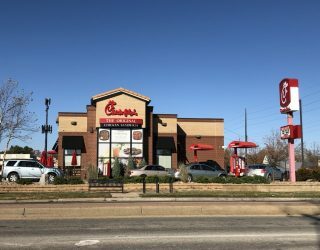 It was always a great time and I’m not sure exactly why we stopped going but this past weekend I had the sudden urge to make a visit. I invited some friends who had never been. A lot has changed since my last drive to Hank Is Wiser, mainly the addition of barbecue they make on site. 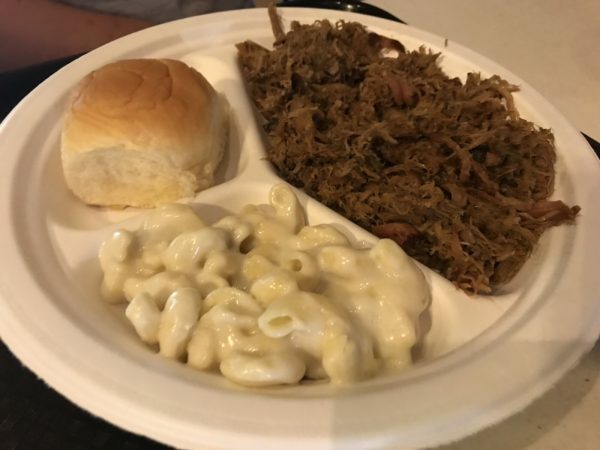 Barbecue at a brewery? You don’t have to tempt me with a good time! Walking in the walls are aligned with so much beer memorabilia all part of Hank Sanford’s collection. For decades, Hank brewed beer at home and collected old advertisements, signs, coasters, stickers and other cool decor. You really get the small town vibe stepping in the doors. Like Planet Fitness, it’s a judgement free zone. 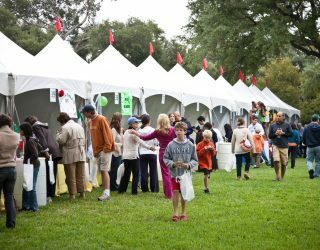 All the patrons are friendly, everybody is there to just have a good time. 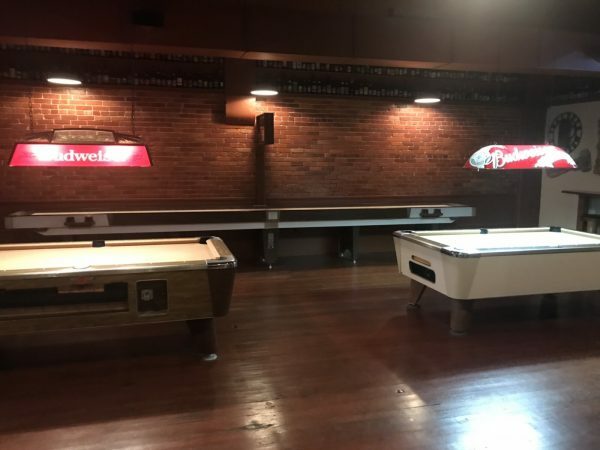 There’s a separate game room with pool and shuffleboard available too. If you step inside the room, the walls are lined with hundreds and hundreds of different beer bottles. 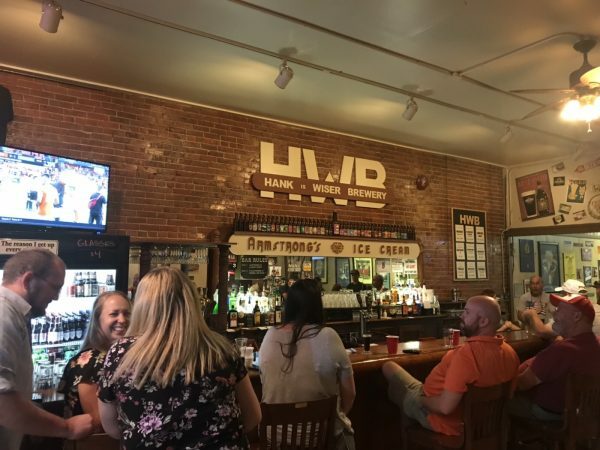 There’s a monthly beer tasting at Hank Is Wiser where they sample different beers; so that’s something to keep in mind if you love trying new beers. Hank Is Wiser is considered a nanobrewery due to the amounts of beer that is brewed. They always have different seasonals on hand. On our visit, they had six of their beers on tap with other guest taps on hand from other local breweries. Everybody thoroughly enjoyed the beers on tap that evening including the Snowtime Shandy which is a blonde ale and my favorite for the evening. Other beers on tap that evening were the Mocha Man stout, Blueberry Blastin’ fruit beer, and Wedlock Pale Ale. One of my friends who’s big into the beer scene noted how cheap the prices were compared to other places in Wichita. 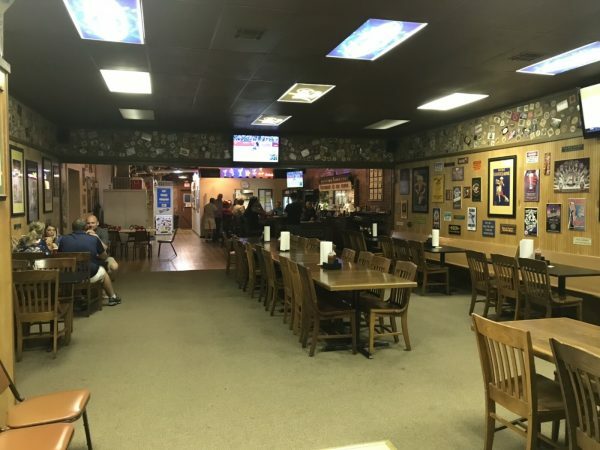 Between Hank’s years of home brewing and his son, Steve’s years brewing at River City before Hank Is Wiser opened, there’s plenty of experience between the two and it showed. Then of course, we had to order some barbecue. We literally had everything available on the menu. 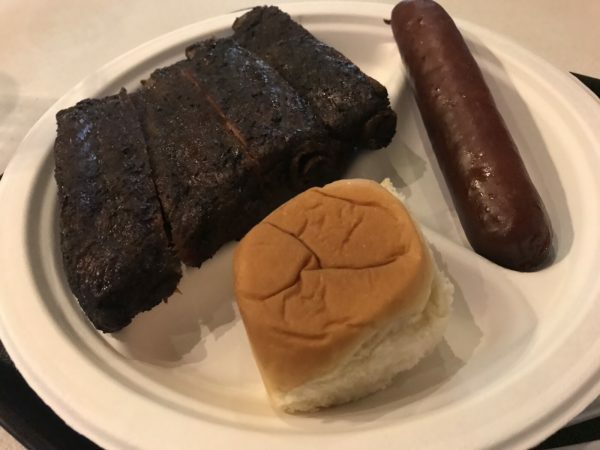 We ordered the pulled pork, pork loin, hot links, and smoked ribs. We had all their sides from the smoked mac & cheese to the coleslaw to the potato salad to the baked beans. 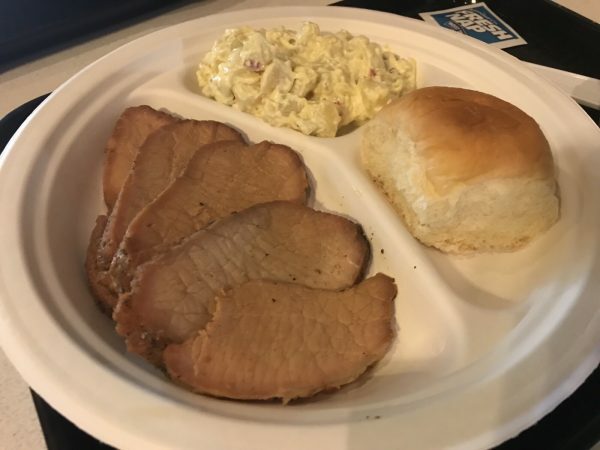 Steve has spent the past few years perfecting the art of smoking meat and the reviews were all wonderful from everyone. The ribs were the true star of the evening. They had a nice smokey flavor with the meat coming off the bone with ease. I was told these sell out almost every weekend and we could see why. The pulled pork and the smoked pork loin were both delicious as well. I didn’t get a taste of the smoked mac n cheese but I’m guessing they were good as they were gone from my friend’s plate before I could even blink twice. The food here is the perfect complement to the brewery and pairs exceptionally well with the food. It doesn’t end there yet. 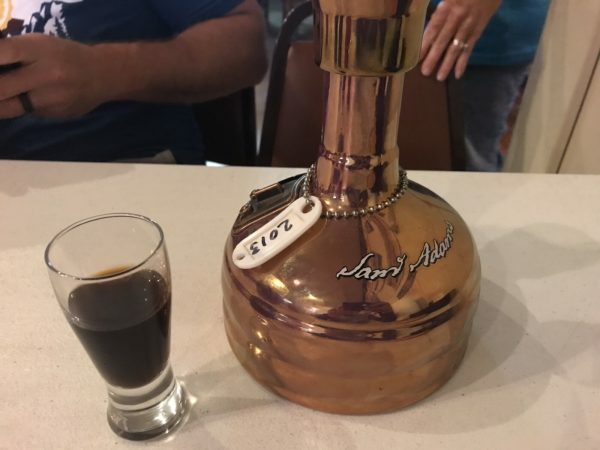 If you’re a huge beer connoisseur, you may have heard of Samuel Adam’s Utopias. These are rare bottles of specialty brew that are only released every two years. They have an alcohol by volume of 28% and can go for hundreds of dollars due to the limited release of 13,000 bottles every other year. 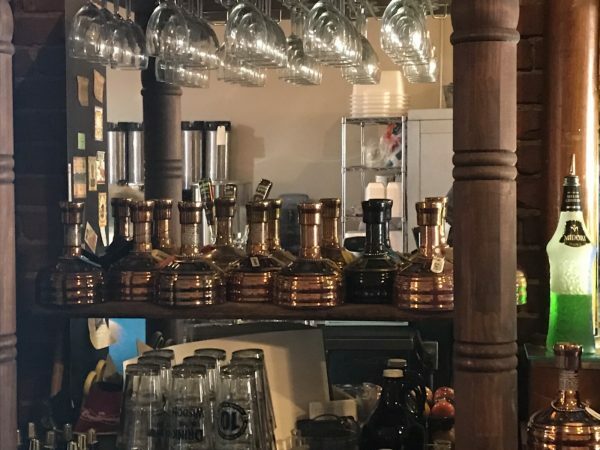 Hank Is Wiser might be the only place in Kansas where you can try every release of Utopias. They have every single bottle on hand since its inception and sell it by the ounce. My friends and I tried the 2012 and 2013 editions. I know I mentioned it’s released every other year but 2012 was the Tenth Anniversary Edition and is even rarer and the only one to come in a black bottle. 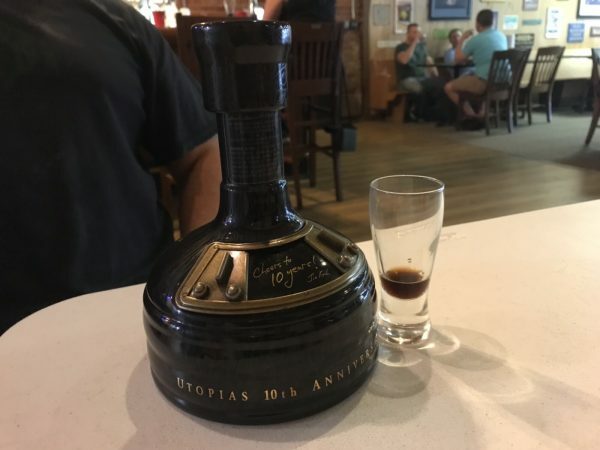 Utopias is meant to be a sipper and I must say, the 2012 was extremely smooth. Beer lovers would really enjoy this. Hank and Steve talked us through the different Utopias while we were tasting it which made it an experience of not just trying something new but learning about it. Then I have to show some love to Jane Sanford. She is the wife of Hank and the main server who goes around taking people’s orders and delivering food. She is easily one of the nicest ladies I have ever met. The fact that she is a huge Shocker fan is just the cherry on top. When it comes to breweries, our time at Hank Is Wiser was nothing but amazing. From the hospitality that Hank, Jane and Steve showed to the food and the beer, it was all worthwhile and a trip we’d make again. They treated my whole table like family and made it a memorable time. They are one of the originals when it comes to the local brewery scene. If you’re looking for a place with great beer, great food and even better people, I cannot recommend Hank is Wiser enough to you. Make the drive and have a few drinks with the whole Sanford family. Have some news you would like to get out? E-mail us and we will get back to you as soon as we can. Previous articleWheat State Distilling offering 1/2 off bills for all teachers in August!